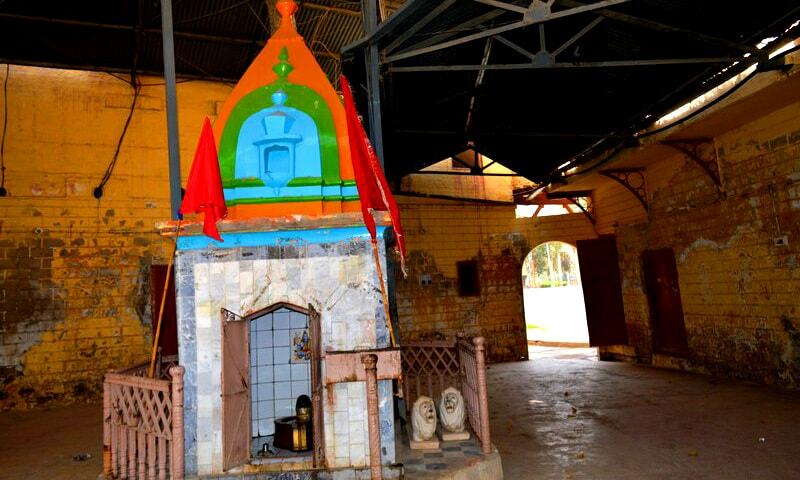 The monks' cells lie empty with cobwebs and dust, but the white marble of this Udasi shrine glitters still. O Man! What pious spot is this? 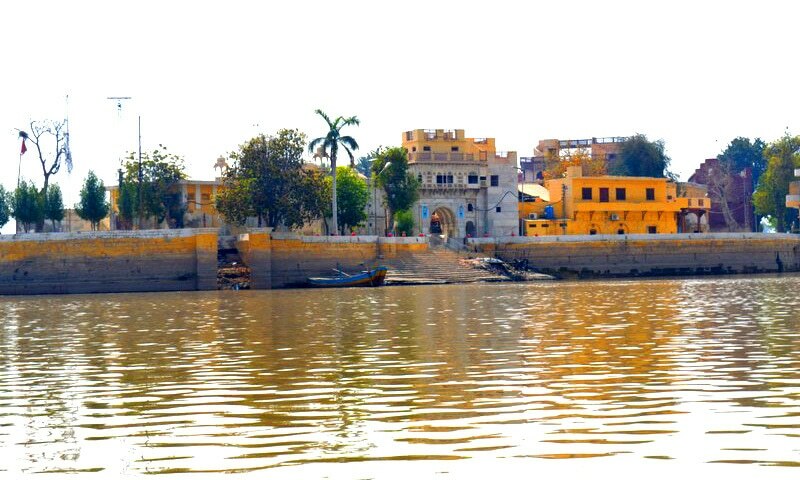 Sadh Belo — whenever I heard the name, it felt like an ancient incantation, a wave on water, a ripple caressing the smooth surface of the Indus. 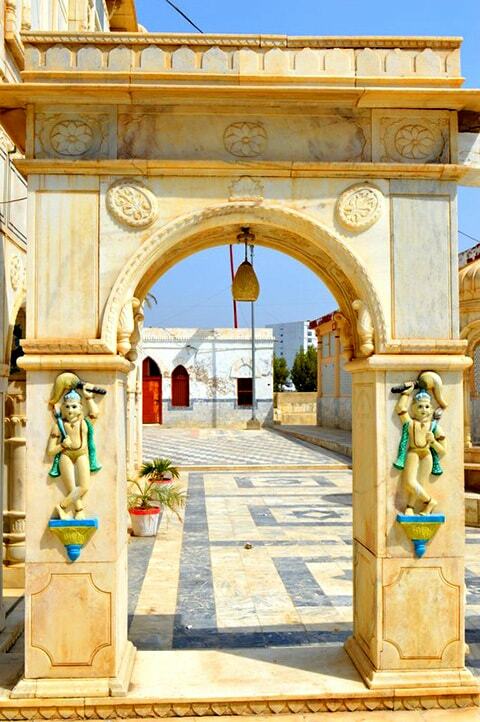 I came across this beautiful temple complex while writing on Udasipanth in Sindh. Whenever I went to an Udasi establishment and interviewed someone there, people would ask, Have you been to Sadh Belo? And after discovering I haven’t, they would exclaim, But that is exactly why you must visit it, because that is the most important centre of Udasis in Sindh. So, like magnet pulled by metal, I found myself drawn to it. That’s how my longing to see that famed place with my own eyes grew immensely, but it took me some time before I could materialise that dream. The dream finally came true one fine morning in late spring 2017. Accompanied by one of my students, I travelled to Khairpur and stayed at Shah Abdul Latif University Khairpur’s guest house. The very next morning, we went to visit the temple. 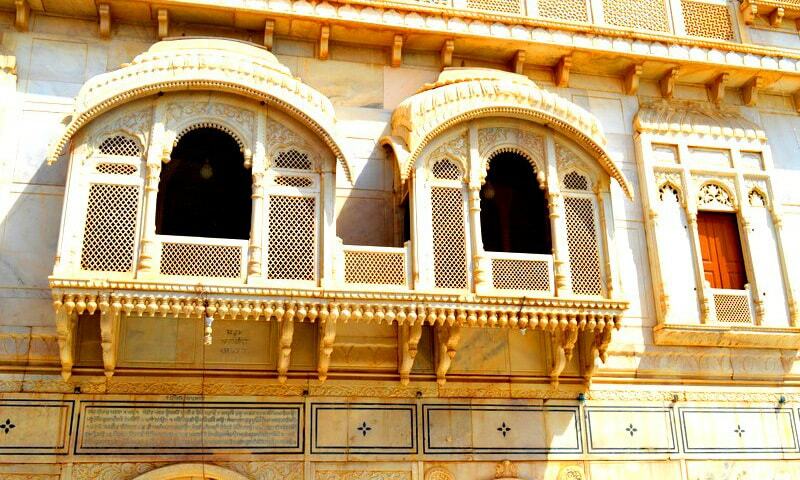 A few men were sitting under a makeshift shelter, two or three boats were moored to the platform and right in front stood the majestic white marbled and buff-sandstone building of the Sadh Belo. The sun was still low and a gentle breeze was setting the waves in motion. Sadh Belo from a distance. We sat in a boat; the fishermen had oars in hands, their sweat-soaked dresses reminded me of the indigenous inhabitants of the Indus valley. 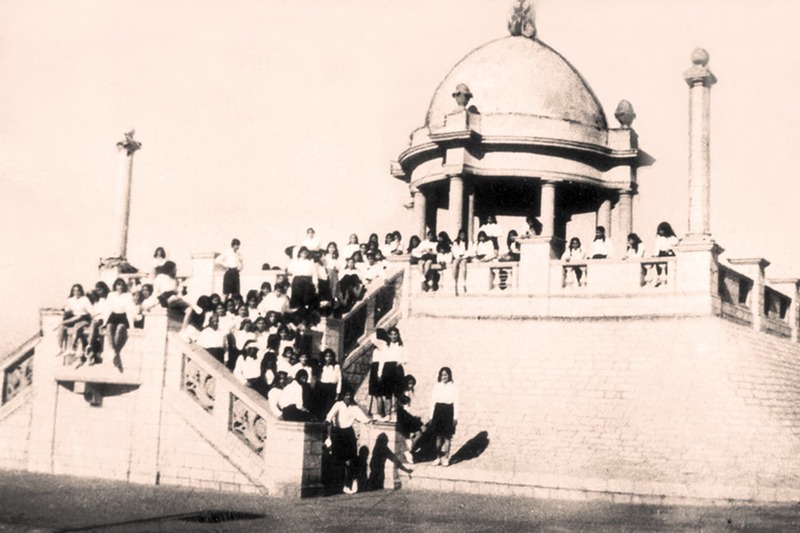 Sitting there, we could see the Lansdowne Bridge and its graceful arches on one side, and the island shrine of Zinda Pir Khwaja Khizr on the other side. 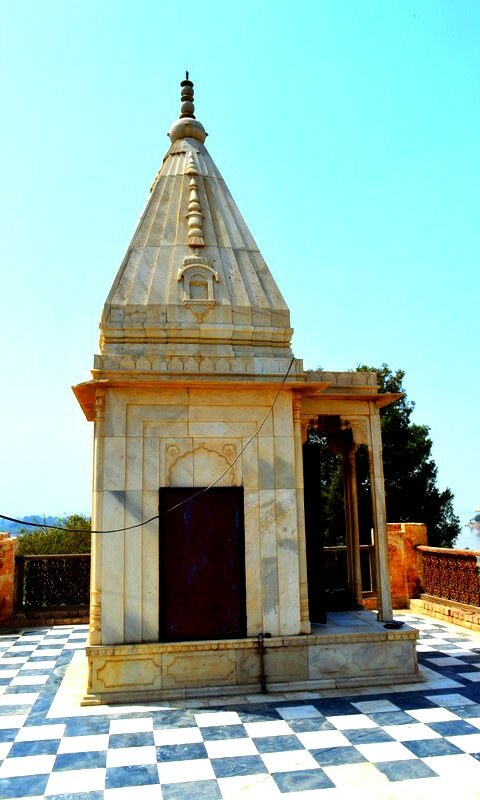 Sadh Belo is an Udasi tirath (pilgrimage) founded by Baba Bankhandi, an Udasi missionary and who came from Nepal to settle in Sukkur in 1823. 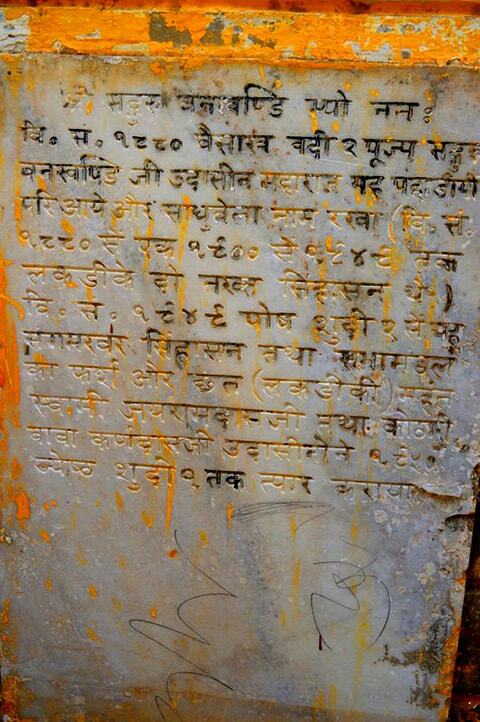 Udasipanth is a religious tradition that was founded by Sri Chand (1494-? 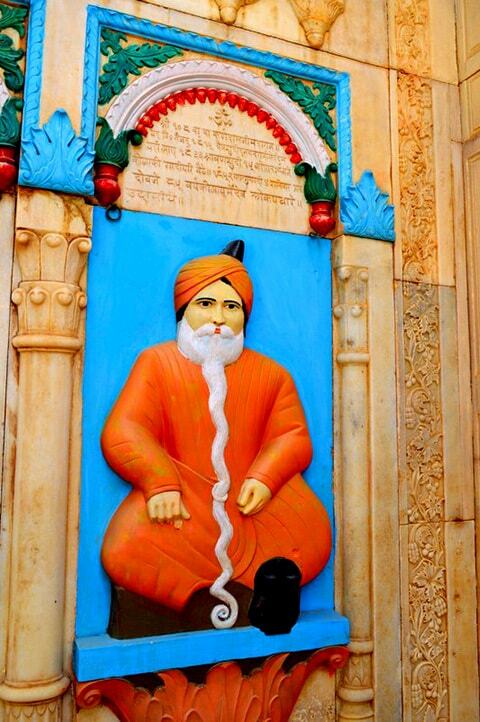 ), the elder son of Guru Nanak (1469-1539), founder of the Sikh faith. Door leading to Sri Chand Mandir. The Udasis are ascetics, they do not possess any property and spend their life disciplined by yoga, meditation and reciting the prescribed texts. The island was just a clump of trees when Bankhandi first arrived there, but he liked the place so much that he chose it as a place to set up his dhuni (sacred fire). Looking out from the balcony. It is said that once Baba Bankhandi saw Annapurna, the goddess of grain, in a dream. She gave him an oblong metal object called Kamandal and told him that, as long as this object is in the complex, there won’t be any shortage of grain for the community kitchen. Later, Baba Bankhandi established various places of worship, including temples, dedicated to Annapurna, Hanuman, Ganesh and Shiv Shankar, and places for Granth Sahib and Bhagavad Gita. 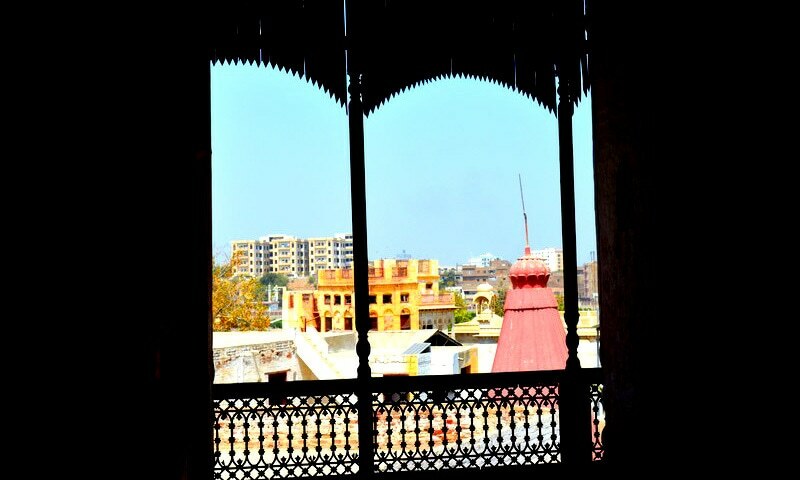 The temple complex is spread on two interconnected islands; Sadh Belo having kitchen, verandah, many temples, and Deen Belo which houses samadhis, a park, and Rishi Nol mandir. Baba Bankhandi had many disciples who succeeded him one by one as the mahant or custodian of the place; the most notable among them are Swami Achal Prasad, Swami Mohan Das, and Swami Harnarain Das Udasin. Sadh Belo attracted many people in search of spiritual enlightenment and had a thriving community of monks and devotees. A marble panel showing singers and musicians. 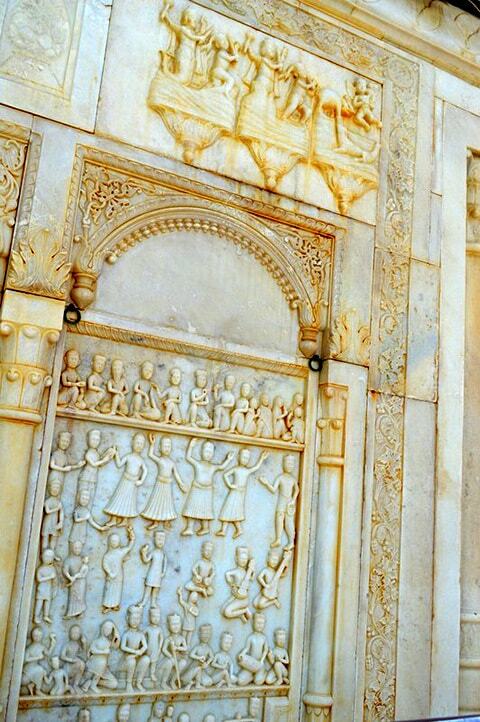 In front of the complex, there is a huge marble wall with many engravings depicting various scenes that are related to the local Hindu and Udasi traditions, including a depiction of hell and heaven, musicians and Udasi saints. 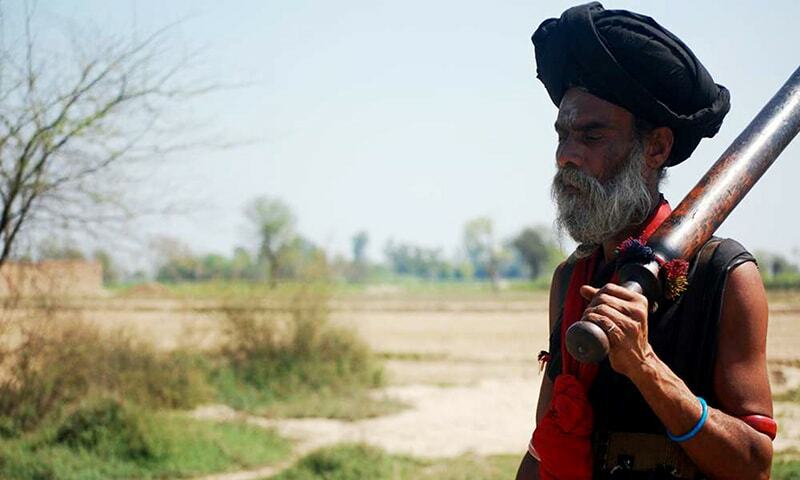 The glory of Sadh Belo came to an end on the fateful day of Partition, when most of the Hindus of Sindh, including the inhabitants of Sadh Belo, crossed the border and left it deserted and forlorn. The current gaddi nashin (custodian) is Swami Gauri Shankar Das who lives in Mumbai and comes here for Baba Bankhandi’s annual anniversary celebrations that take place in June. Currently, Sadh Belo is under the custody of Evacuee Property Trust Board and is managed well, but the absence of the former administration of Udasi mahants is felt immensely. Some paintings in the library. The place was once crowded by the monks living in cells, writing manuscripts in Hindi and Gurmukhi, cooks preparing food and devotees gathered across the sanctum to pay their respects. However, the monks’ cells lie empty with cobwebs and dust, the library is devoid of readers, the books are mired in dirt and the verandahs show the stark absence of devotees. Still, if you close your eyes for a while, the wooden balconies, marble columns, and staircases seem to echo the footsteps, chatter, laughter, and whispers of the monks and devotees once here. Zahida Rehman Jatt is an anthropologist and social science researcher. She is a lecturer at the department of Anthropology and Archaeology at the University of Sindh in Jamshoro. Good piece of writing Zahida...keep up your inspiration to understand Sindh! Thank you DAWN for publishing this article. Beautiful and heartfelt! The spirituality of the author is shining through her writing. Annihilation is ably aided by humans who hate what they possess even as they do not comprehend its significance. 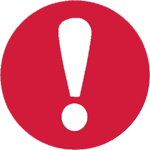 He only survives who is connected with one's roots past remains past but futcher can be corrected by not repeating mistakes of past. By changing ones way of worship doesn't disconnect one from his or her roots.i salute to sister for writing what fact was & what it's today. Thanks for pointing out the target for the next wave!!! Our heritage too. My felicitation to the author for the research and pictures. The government should restore this heritage site to its former glory and get Udasi monks to come and liven up the place with meditation, research, hymns and followers. Well written and very interesting . 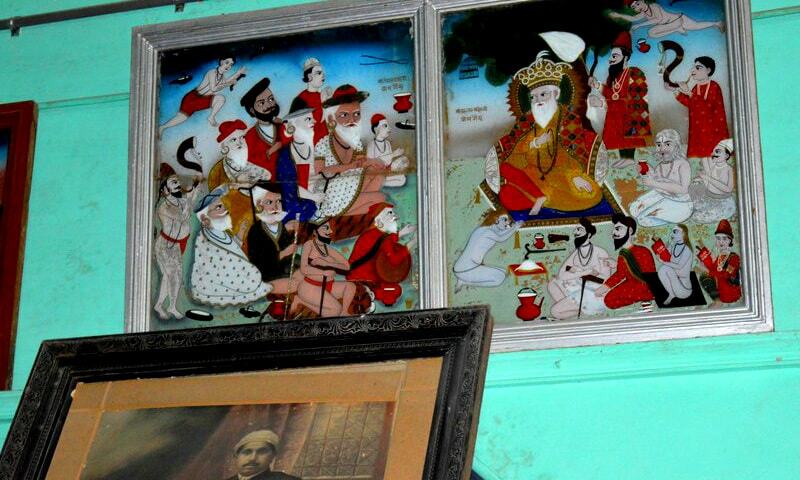 Thank you for enlightening us with some history of sadhbelo!! Ms Zahida thanks for a wonderful article. The description and pictures are perfect. Our Old heritage had its charm, tranquility and depth. What a beautiful article - Thank you! Thanks Zahida Rehman Bhatt for this piece of writing ..it feels great when a Pakistani writes about Hindu temples n culture present in Pakistan.. although pakistan now is islamic country,it should do more to protect it's glorious past. This is our Sindh, Pakistan. I have been to the temple many times, both us Sufis and our Hindu Brothers go and sing songs and pray for humanity together at the baba's shrine. A good one, but will Zahida Rehman spare some of her precious time, and research on archaeological Babri Masjid.,and let the people know who built it, for how long people prayed in it, when it was deserted, and why it was desegregated. Thanks to dawn for publishing this article. Incidentally, I believe the headquarters of this panth is in Mumbai at the famous mahalaxmi temple. There is a building called Sadhu Bela which has the same temple as quoted above and the sculpture of a saint as shown in the picture. Good to know its origins. Thank you for sharing such a valuable information related to sprituality. Great!It gave information on much obscure and neglected part of our heritage and you are doing very well. People wanting to visit this, note that this is not accessible for everyone. The administrator Mr. Imitiaz is not very accommodating, we went all the way from Karachi but he was rigid and didn't allowed by saying offices are closed on Sundays, so he couldn't provide permission. Yes, I was also under the same impression that Sadhu Bela at Mahalaxmi temple is the original one. Thanks ma'am Zahida for beautiful write up. Great information of historical importance. My parents came from Shikarpur Sind and reading about Sadh Belo brought back nostalgic memories for them. In Mumbai, this institution is now known as Sadhu Bela and is situated at Mahalaxmi. Really a wonderful and very informative article. Salute to Zahida Sister Jee! Very nicely written article. India is very different. Great work Shifa. I would like to track down my family tree in kandhkot we migrated from Sindh to Punjab to spread Islam. Zahida ji... what an insightful journey you took us on. Looking forward to more such virtual journeys through these places that have so many stories to tell. And thank you Dawn for making this available for us here in Ahmedabad, India. The article shows her love for scoiety and culture. So this is our culture, our past. We may have different beliefs now but knowing this does no harm. 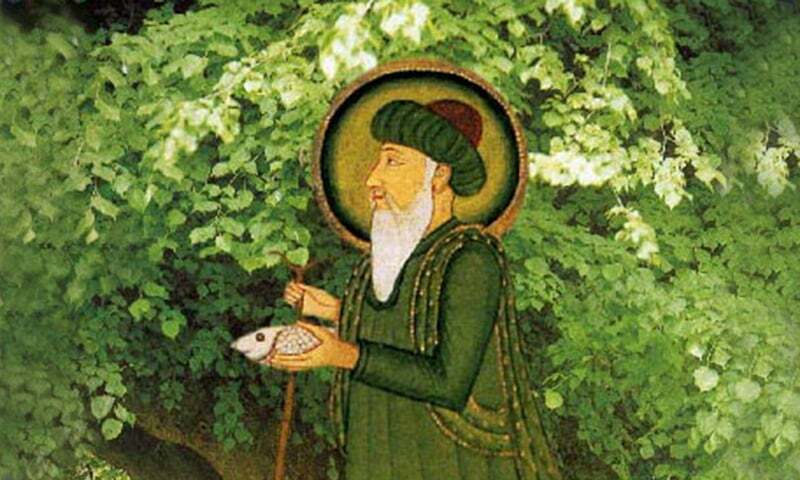 The core of udaasipanth was "service to humankinds", "serve to bring peace" and "to do away with the false notions & beliefs" , well who can not agree with that. We all want that in our own way. Thanks. An excellent well written article. @Imtiaz ali khan Nice to read. So beautiful. I wish if I can visit this place. But would be difficult to get a visa I reckon.. I have heard of Sadh Belo and Udasin in India. The article is an enlighting one,as it gives history on Udasin sect.